Kickapoo State Recreation Area is an Illinois state park on in Vermilion County, Illinois, United States. Located just outside Danville, Illinois, this park is easily accessible through route I-74. It is away from the University of Illinois at Urbana-Champaign and from Indianapolis. According to the Illinois Department of Natural Resources, the name Kickapoo originated from the Kickapoo village that once existed near the junction of the Salt Fork and Middle Fork branches of the Vermilion River. After Europeans settled in the area and displaced the Native Americans, the Europeans began to dig wells to harvest salt from salt springs, called salines. In the early 20th century the land was then strip-mined for coal. Kickapoo State Park was the first park in the United States to be located on strip-mined land. 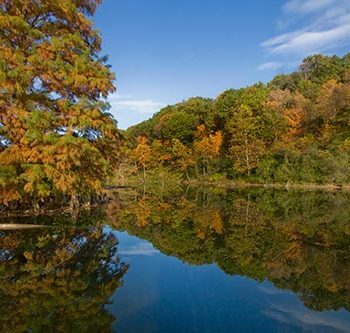 The state of Illinois purchased the Kickapoo State Park Area in 1939 with donation money from Danville residents and the land has since recovered from the extraction of these resources. 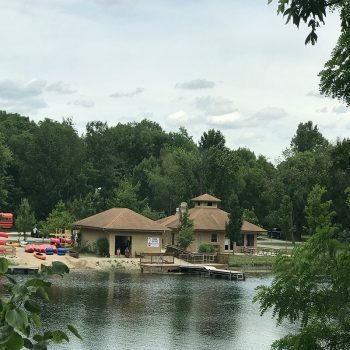 Home to Kickapoo Adventures and the Park Bistro.